Your teeth are intended to last a lifetime with the right care. Unfortunately, as you age and due to various factors, it is not uncommon to begin to lose your teeth. With each tooth playing a vital role in oral health and function, you need to replace your missing teeth. Not to mention, an incomplete smile can quickly cause you to lose confidence. Now, you have a lot of options to replace missing teeth. Among the most popular and preferred option involves dental implants. 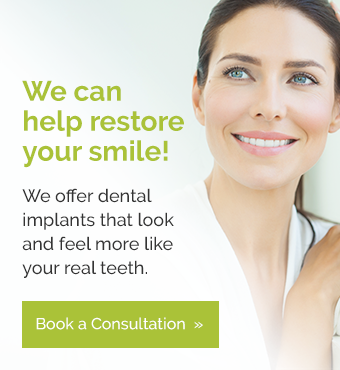 As a dentist in Grande Prairie, Access Dental offers dental implants to restore your confidence and oral health. Dental implants are the most preferred and successful form of tooth replacement, which is why more than 500,000 dental implants are placed each year. Dental implants consist of three parts: a titanium post, abutment, and dental crown to replace the root and crown of a tooth. The materials and procedure used allow over a 95% success rate, providing a permanent option to replace a lost tooth. WHAT IS THE PROCESS TO GET DENTAL IMPLANTS? To receive dental implants in Grande Prairie, you will need an initial consultation to determine if you are a candidate. In most cases, if you have healthy gums, adequate bone density, and minimal risk factors for implant failure, you are a candidate for the procedure. A customized treatment plan is created for the placement of the implant posts. The procedure is performed in multiple stages. During the first phase of treatment, the gum tissue is opened to allow the biocompatible titanium post to be inserted into the jawbone. The jawbone naturally accepts the material, fusing to the implant post for a secure bond. After the jawbone has healed, the gum tissue is reopened to expose the implant post to attach the abutment. The abutment allows the gum tissue to heal correctly while anchoring the prosthetic crown in place. About two weeks after the abutment is placed, the restoration phase takes place to attach the custom-made dental crown. Dental implants offer a lifelong solution to replace missing teeth. In addition, dental implants are the only form of tooth replacement to most closely mimic the appearance and function of natural teeth to regain a confident smile. Since an implant post is placed into the jawbone, the bone remains stimulated, preventing bone loss. As a result, you protect your remaining natural teeth from damage while ensuring your facial structures maintain proper bone density. Caring for dental implants is similar to caring for your natural teeth. You need to brush and floss daily while maintaining regular appointments with your dentist. With infection the biggest threat for implant failure, extra oral hygiene precautions needs to be taken to keep bacterial levels to a minimum. To benefit from dental implants, contact Access Dental to schedule a consultation to see if you are a candidate for the procedure. We will create a customized treatment plan to restore your smile and oral health.